Get 6 months to pay $775.00 with PayPal Credit! No payments + no interest if paid in full in 6 months. Experience the Caribbean on this treehouse adventure, complete with countless opportunities to explore sun, sand, ocean, and jungle. From zip-lining, cliff jumping, and horseback riding, to cave exploration, secluded beach relaxation, and boat tours, this 4-day adventure is the perfect mix of action and leisure in the Caribbean. Deep in the lush jungle of the Samana province in the Dominican Republic, a grove of trees has been transformed into a paradise retreat. 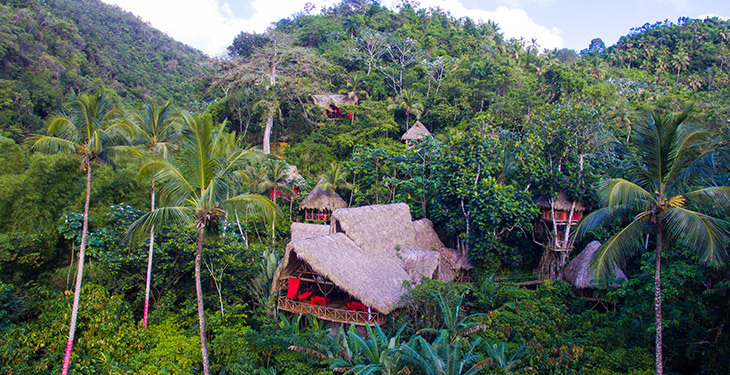 A large eco-lodge, crafted from local materials, is centered on the property and surrounded by 22 open-air treehouse cabins with an abundance of inviting gathering sites. 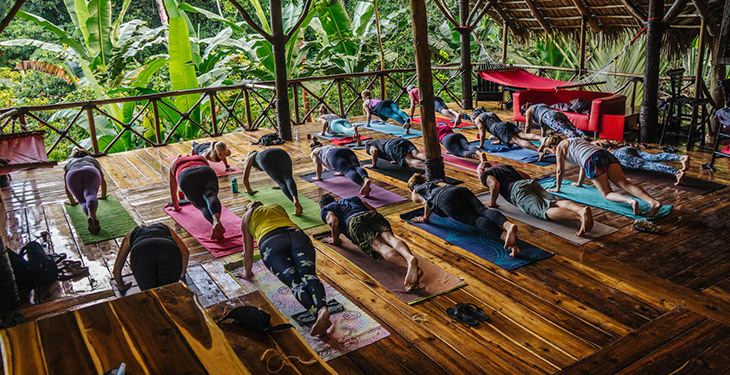 The lodge itself is a magical place – an idyllic setting for a wedding, yoga retreat, or other special event, with a full bar and catering kitchen where guests will partake in hearty, family-style meals. Each cabin is perched high above the jungle floor, enclosed by curtains and a well-built railing, furnished with a plush queen bed and soft white sheets. You’ll find hand-woven adornments and furnishings along with hanging chairs begging you to relax and bury yourself in a good book. The entire property is connected by pathways and is abundant with organically grown fruits, vegetables, and flowers. Every detail has been attended to and you’ll find that this is a place that was built to allow for both harmony and excitement. Great efforts were made to ensure that the developments were as environmentally-friendly as possible. 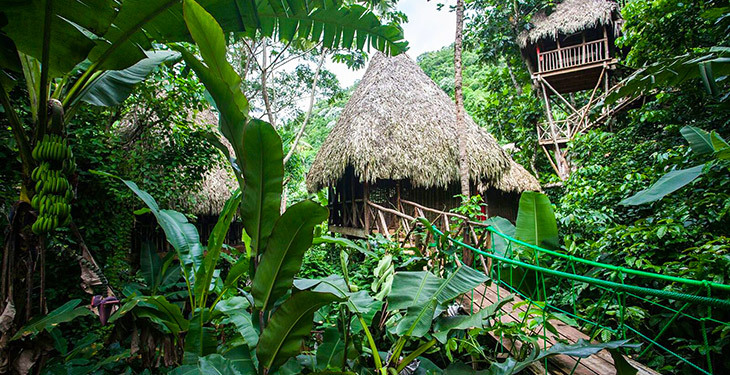 Commune with nature in this incredible setting, experience the raw elegance of this well-crafted treehouse, and explore the clear ocean waters and lush jungle surroundings. Onsite amenities: yoga studio, pool, bikes, group games, etc. This experience gives you the freedom to tailor your days exactly as you wish. Included in your private treehouse stay for two are rotating breakfast and dinner options, unlimited water and soft drinks, and unlimited access to all onsite amenities, including cruiser bikes, a yoga studio, a seasonal rope-swing waterfall experience, and a swimming pool. This trip also includes a waterfall trek and guided meditation for two. As a guest, you can enjoy all of the above during your stay, and all offsite activities can be scheduled at the Dominican Tree House Village's front desk during your stay. 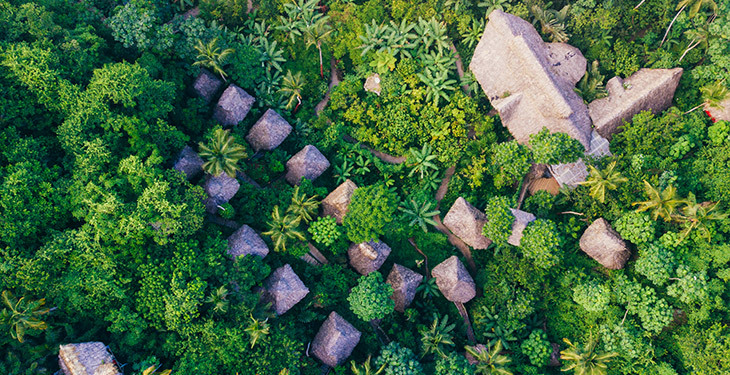 Deep in the lush jungle of the Samana province in the Dominican Republic, a grove of trees was transformed into a paradisiacal haven from a world that too often demands more of us than we should offer it. 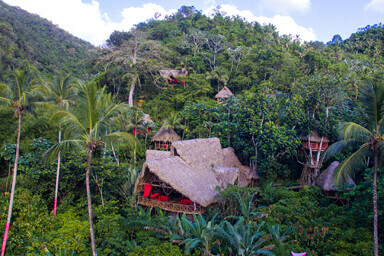 A large eco-lodge, crafted from local materials, is centered on the property and surrounded by 22 open-air treehouse cabins and an abundance of inviting gathering sites. The lodge itself is a magical place – an idyllic setting for a wedding, yoga retreat, or other special event, with a full bar and catering kitchen where guests can partake in hearty, family-style breakfast and dinner (all included with a stay at the village). By far one of the most amazing weeks of my life. To live in the trees, with the fresh air and the sounds of the wildlife all around was simply wonderful. The staff was so awesome. It was really one of a kind. I would recommend it to everyone. No internet, no cells, to simply live... the creek, the pool, the bicycles, and just chilling out let me really focus on the important things in life. Make sure you do the zip-line tour too! This was the best jungle experience I've had in my life. I'd heard of this place through friends and also on the internet, so I decided to take my mom to this amazing place. The management was very nice and helpful. Staff was sent to pick us up from Samana downtown and we had a lot of fun riding a dune buggy all the way to the treehouses. They welcomed us very well. Our treehouse was one of the highest, close to the restaurant and I had an amazing view from there. We took a bicycle for two and pedaled to the beach which is not far. The beach is just BEAUTIFUL. It's called the Valley Beach or Playa el Valle. We also had lunch at the restaurant by the beach. It was delicious, loved the chicken and the seafood, nice fresh lobsters and fish. Night at the place is majestic. We enjoyed the fire pit and socializing and interacting with people from different countries, different languages and cultures, playing games, it was AWESOME! We also enjoyed the fire while swinging on the canopy seats and looking at the stars. Dinner and breakfast were very good, they have an excellent cook, waiter, and bartender. The whole staff is well trained, educated, and they speak English. For us this is one of those gems that you find, that when you go back (and we will), is just automatically factored into the next travel plans. First off, it's just beautiful! We arrived after dusk and as we were escorted through the jungle, the main lodge emerged into view. Wow!!! The warmly lit lodge, the jungle all around, created an ambience that said, "WE'RE ON VACATION!!!" I had seen several pictures prior, and my lasting thought was that it's better than the pictures. They don't do it justice! They never could! Over the next several days we met other travelers and locals. People who are now friends! They were suddenly factored into each days activities! From here we traveled to great locations. 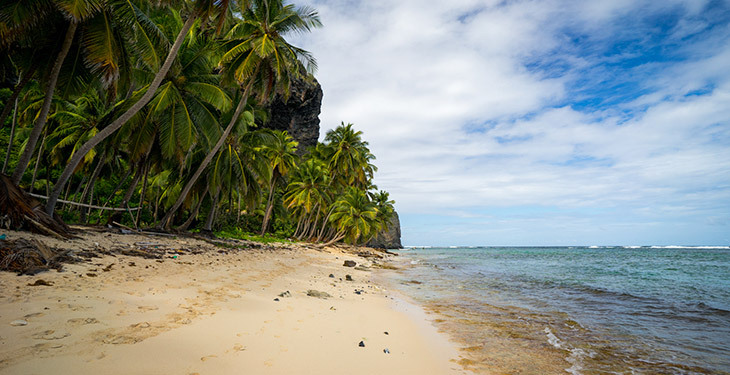 Samana is very near and a neat little town with a picturesque harbor, El Limon waterfall is a short trip, as well as some unforgettable beaches. Playa Rincon, Bacardi beach, Playa Cason, and Playa del Valle. Just look them up! The others are famous, Valle is our favorite. It's a 30 minute walk from the lodge, it's secluded, it's picturesque, it's memorable, and it's home! I recommend getting there at least once for the sunrise and watching the locals help the fishermen get their boats out to sea! Dinner is whatever they catch and Josephina does it up so nice! With this place we had privacy and seclusion, but close to everything we wanted and so much adventure, which is my personal favorite part of the DR. The treehouse cabanas are ridiculously charming! Bring someone special! I think this place would be ideal for couples seeking a romantic adventure, nature lovers, and adventure lovers. Don't forget the zip-line. It is a must! AND... ask about renting a buggy. Oh the memories! From there it's up to you! The Dominican Republic is full of adventure. And it's not that difficult to find. Voucher is valid for two until 9/30/19. Subject to availability. 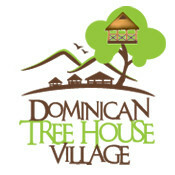 To redeem your voucher, please reach out to Dominican Tree House Village as instructed in your order confirmation email. Please do not make travel arrangements until you've received confirmation from Dominican Tree House Village. How do I redeem my voucher? For what dates is my trip valid? Your voucher is valid for any consecutive 4-day/3-night stay until September 30, 2019. To check availability and/or redeem your voucher, please reach out to Dominican Tree House Village as instructed in your order confirmation email. Please note reservations are subject to availability and that pricing is based on double occupancy in one room. Do not make travel arrangements until you've received confirmation from Dominican Tree House Village. Fly into either Samana (AZS) or Santo Domingo (SDQ). Many travel options are available from the airport to the village, including taxi, shuttle, rental car, and bus transfer. 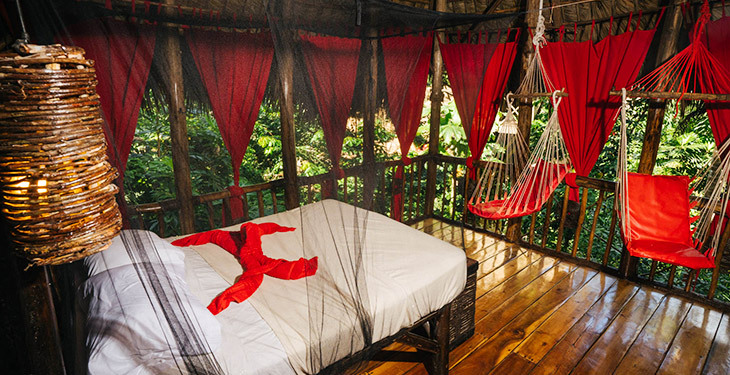 Your treehouse suite includes a queen bed, mosquito net, locking trunk, ceiling fan, and your own private bathroom. Onsite amenities include yoga studio, pool, cruiser bikes, rope swing, and many group games and activity options. Each cabin is perched high above the jungle floor, enclosed by clean curtains and a well-built railing. The beds are draped by a thin mosquito netting—offering some peace of mind - but mosquitoes are not a problem, thanks to a thriving bat population in the area (which don’t bother guests). You’ll find hand-woven adornments and furnishings along with hanging chairs begging you to sit and read in them. Each suite has electricity and includes ceiling fans. Wifi is not available on the property, but can be accessed at an internet cafe five minutes away. The entire property is connected by pathways designed to highlight the beautiful nature around you and is abundant with organically grown fruits, vegetables, and flowers. Breakfast and dinners are included and vegetarian options are available. Please notify Dominican Tree House Village in advance with any special dietary requests. Plan to bring at least an extra $25 per day for personal expenses and souvenirs. What should I bring? Do you have a packing list? Book confidently with Free Cancellations within 72 hours of booking. After 72 hours, cancellation fees will apply. Cancellations are subject to the full discretion of Dominican Tree House Village. For more information on our Travel Cancellation Policy please Click Here.